You may remember that part of my Black Friday deals was a 100% FREE diamond and sterling silver ring. I had received a $50 Samuels Jewelers gift card in the mail for being one of there preferred customers. Hubby had bought me a ring there for our 10th anniversary almost 3 years ago. What could be better than one FREE diamonds? How about another FREE diamond ring! Last week, I received another $50 Samuels Jewelers gift card in the mail for holiday shopping! I was so excited and thrilled to have gotten (2) of these gift cards within a month. How lucky am I?? I had no idea what to get, but it was so much fun looking through the catalog, online and in the store trying to make a final decision. In the end... I chose a cute little heart ring for my daughter. 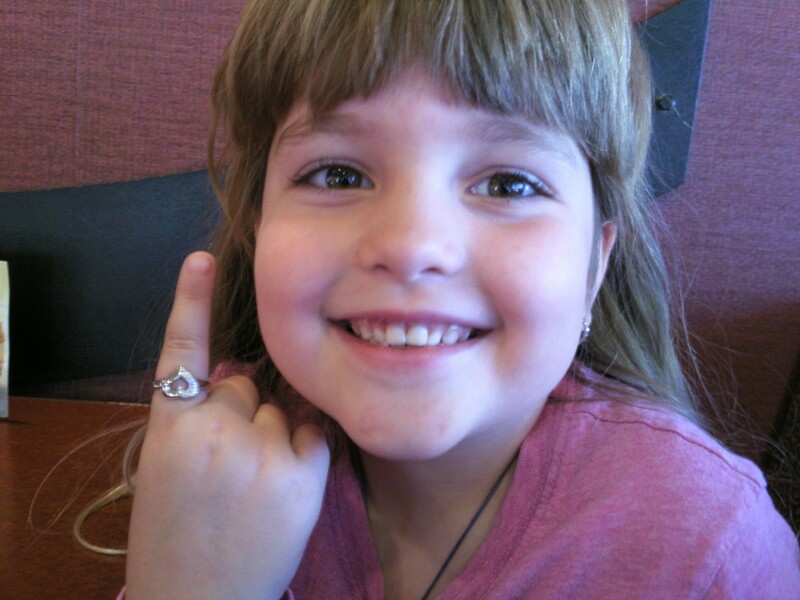 She is going to be 8 years old next month and has been asking for a ring like mommy's for several months now. Of course, I can't justify spending much money on a ring for her. She's so young and the chances of it getting lost are rather high. Even though she has proven herself to be very responsible with a mood ring my mom gave her over a year ago. Through December 31st you can get 25 FREE photos at Walgreens. Simply use coupon code PRINTNOW at checkout. Chose in-store pickup and there will be no shipping costs. This is perfect opportunity to get your Christmas pictures printed off while it's still fresh in your mind. HURRY, today is the last day to snag your free prints! Plus, you can pick up your prints in as little as 30 minutes or choose to pick them up later! I've always been one of those mothers who wants my children to have fun and act like kids. They are only little for so long and it's a precious time that should be enjoyed and treasured. I'm also a mom that loves toys that encourage imagination, thought and creativity. Educational toys for kids have always been among my favorites. CP Toys specializes in toys that inspire creativity, learning, and family fun! They carry a large selection of educational toys for kids that include games, puzzles, arts, music and many more. Hands on play inspires real life learning! Kitchen play has always been a favorite of both my children, my son and daughter. Growing up playing with kitchen toys has given them both a love for helping in the kitchen when I cook and bake. From pretending to cook a family meal with plastic food or creating a life-size tower from building blocks, educational toys for kids are part of growing up! One family vacation that we would love to do but haven't yet been able to, is to go on a Disney Park Vacation. My husband and I always told ourselves we would wait until both of our children were old enough to enjoy it and remember it. 2012 just might be the year as our children are turning 8 and 11! Now is the perfect time to get your goals for the New Year written down and set in motion. Like so many others, my New Year's Resolution every year is to lose weight. Last year I managed to lose some weight, drop a few pant sizes and feel so much better about myself. My goal for 2012 is to reach my weight loss goal by my birthday in July! Here is the perfect freebie to set your New Year's Resolution in motion, a FREE 7 Day Pass to 24 Hour Fitness! 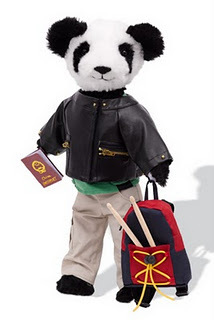 I want to thank everyone who entered my Shen the Panda Giveaway. I would also like to thank the giveaway sponsor for providing this great giveaway for my readers. I have several free product coupons that I have been holding onto, just waiting to make a trip to the grocery store and get some great freebies! 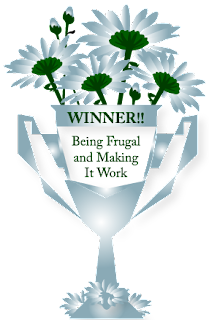 I have several more free product coupons but don't want to overwhelm or frustrate the cashiers, so I take them in a few at a time. "My Mommy gets almost everything for FREE!" I'll be the first to admit that I LOVE chocolate and if I'm going to eat sweets, then it's almost always going to include chocolate. I even have a chocolate drawer in the fridge. Just give me a little chocolate and coffee and I'll be happy all day long! Even with my recent commitment to get healthier and lose weight, I still enjoy my "chocolate fix" because I know it's all about moderation. I think I may have found the most beautiful chocolates I've ever seen in my life. When you think of chocolate you don't think of how pretty it is, but that was the first thing that came to mind when I opened my box of Guylian Belgian Chocolates! They are so unique and beautiful, it's almost sinful to eat them. At first I didn't want to, I wanted to save them. They look like they should be be placed in a bowl and used for decorations. They truly are that beautiful and would create the perfect accent or centerpiece. Of course, my love for their beauty didn't last long as I had to taste them to see if they tasted as good as they looked. 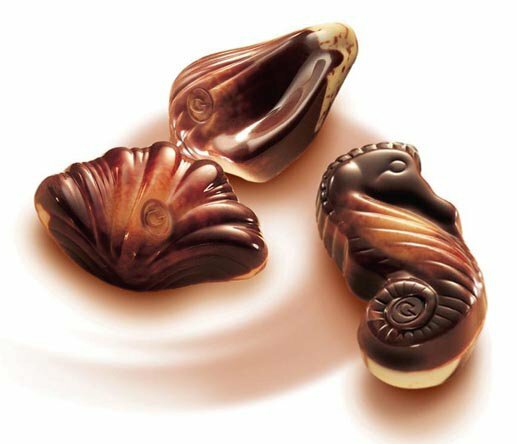 Guylian Belgian Chocolates are simply divine. They are smooth, rich and delicious! I let them melt in my mouth as I savoured every single moment. I'm so excited to have just gotten a 50 Superpoints win! 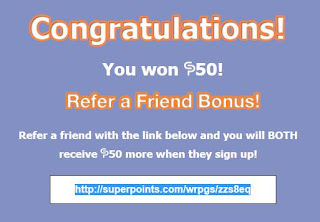 In addition to this win comes a 50 Superpoints BONUS to one other lucky person who joins. HURRY!!! It's only good for one use, so once it's been used it's gone! I'm redeeming my Superpoints for PayPal which will be used for a free, frugal family vacation! If you have been considering signing up for Superpoints, but have not already done so you can take advantage of this Superpoints bonus point invitation and get 50 extra points by signing up at Superpoints here! I have other Superpoints invitations as well, so come join the fun! I remember playing with baby dolls, stuffed animals and teddy bears when I was a little girl. They were some of my favorite toys, and I still have some of those same dolls and stuffed animals today. Some of them I have passed along to my children while others are still kept in a safe place. As a stay-at-home mom, I know how important it is to keep things simple, reasonable and affordable. In today's busy world saving time is just as valuable as saving money, and shopping online is one way that I am able to do both. Pavilion Gift Company carries a great selection of gifts for every occasion: Baby, Birthday, Home, Friendship and so many more. They also carry a great gift selection for every holiday including Mother's Day, Easter and Valentine's Day. There are a couple things that I love about Pavilion Gift Company. They offer affordable gifts that are high quality and they have something for everyone. They have beautiful treasures that will delight anyone who receives them. If you're looking for a gift that people are going to remember, then this is the place you're been looking for! I grew up loving Alvin and the Chipmunks and now I enjoy them with my children, ages 8 and 12. Everyone’s favorite Chipmunks and sassy Chipettes are back with more great tunes and fun! Alvin and The Chipmunks: Chipwrecked is in theaters everywhere and the Chipmunks are on an all new adventure that you won’t want to miss out on. 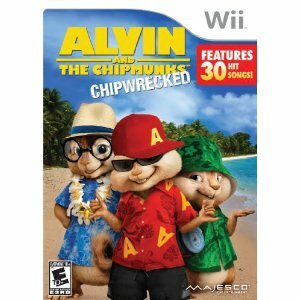 Majesco Entertainment’s latest videogame, Alvin and The Chipmunks: Chipwrecked is now available on Kinect for Xbox 360, Wii and Nintendo DS. It is rated E10+ but my 8 year old daughter loves it and I have no concerns about her playing it. Alvin and The Chipmunks: Chipwrecked is the perfect game (and gift) for everyone, young and old! During the cold winter months it's often difficult to get in outdoor activities and exercise. I love the fact that Alvin and The Chipmunks: Chipwrecked gets my children up and moving no matter what the weather is outside. Playing provides them hours of fun and exercise at the same time! I have as much fun playing Alvin and The Chipmunks: Chipwrecked (and watching my children play) as the kiddos have playing it. It offers hours of gameplay and 30 popular Chipmunk tunes to keep you singing, dancing, laughing and entertained for hours, days and possibly even months. Get up and shake your groove thing with Alvin and the Chipmunks! 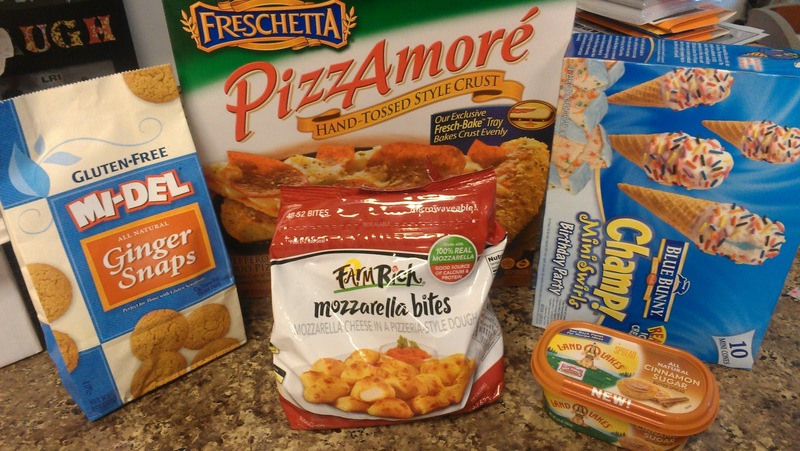 I'm always looking for quick, easy and delicious meals for my family. In the colder winter months and those days when I know our day is going to be super busy, I like to have meals that can slow cook throughout the day and be ready when we get home. Crock pot meals are some of my favorites! It was so easy to make and it was delicious. Everyone went back for seconds. We also had some garlic bread for the perfect meal. We will definitely be having this again. Would make a great dish to take to a party or potluck too. 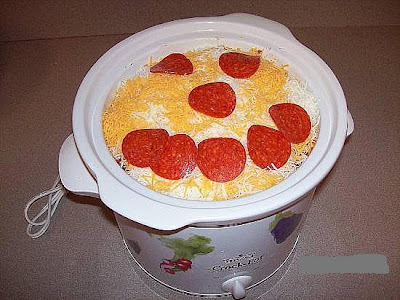 I think just about everyone would like this quick and easy crock pot meal. There are a couple household chores that I don't like doing, cleaning the toilet happens to be one of them! With two young children and two large dogs who like to drink from the toilet, you can only imagine how quickly our toilets get dirty. The Clorox ToiletWand makes scrubbing the toilet a little quicker and easier and it keeps my hands out of the toilet! Clorox cleaning power is in the disposable heads and I love the fact that it easily gets under the rim and quickly gets the toilet shiny and clean. Its long handle makes scrubbing the toilet a breeze! When I'm done, I simply toss the cleaning head in the trash and store the handle in the convenient storage tower. The extra cleaning heads store easily in the caddy for easy access. 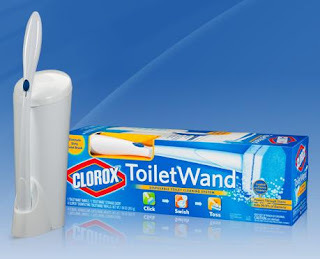 "Ditch Your Germy Toilet Brush & Disinfect with Clorox ToiletWand!" Now through December 31st you can get 25 FREE photos at Walgreens. Simply use coupon code PRINTNOW at checkout. Chose in-store pickup and there will be no shipping costs either. Superpoints - Earn Cash, Prizes and Gift Cards for FREE! Do you want to earn points that you can redeem for cash, prizes and gift cards? What if I told you is was as simple as spinning the lucky wheel, clicking daily emails, completing tasks and inviting friends? Earning money online with Superpoints is easy and rewarding! Superpoints is fun, free and easy! Superpoints rewards users for doing the things they do online every day - searching, sharing, and shopping. Some of the most popular rewards are PayPal and gift cards for Amazon , Starbucks and Home Depot. You can also choose from toys, electronics and a wide variety of gift cards! 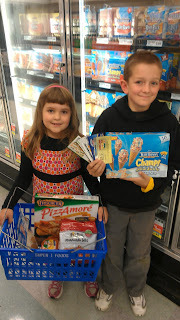 At Superpoints there are several ways to earn points. With the cold winter weather upon us, hot chocolate is a staple in our house, for both myself and my children. As much as we love plain hot chocolate, there are a few things that make it extra special. Those things include marshmallows and peppermint! 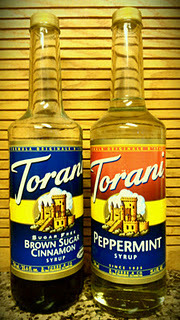 Peppermint mochas are a favorite of mine and peppermint hot chocolate is a favorite of both my children, especially when you top it with whip creme! Growing up, going to my grandparents farm was one of my favorite things to do. They had cows, horses, chickens, pet ducklings, peacocks, goats and rabbits. It was so much fun and I still have fond and wonderful memories of our visits there. My siblings and I always picked out a pet duckling, baby chick or bunny for our grandparents for Easter each year. We were always so excited to take their new pets to them. Our grandparents always knew what to expect and they loved adding more animals to their farm. It's hard to choose a favorite farm animal but everyone loves friendly, backyard chickens! Ring in the New Year with a fresh and funny tale about dating, relationships and life as Anna Faris (Scary Movie Franchise, The House Bunny) and Chris Evans (Fantastic Four, Captain America) come together in a hilarious quest for “the one” in WHAT’S YOUR NUMBER? Unrated Ex-tended Cut, debuting on Blu-ray and DVD January 10 from Twentieth Century Fox Home Entertainment. After reading a magazine article that insists if a woman has slept with at least 20 people that they have already missed Mr. Right, marketing executive Ally Darling (Anna Faris) begins to panic, thinking that she will be alone forever. With the help of her hunky new neighbor (Chris Evans), Ally starts tracking down all her ex-boyfriends, hoping to find her real true love while she helps him escape his latest fling. Hilarious hijinks and adventure ensues as Ally goes on her wild search for the best “ex” of her life, only to find what she is looking has been right in front of her all along. Featuring hysterical supporting performances from Chris Pratt (Moneyball, “Parks and Recreation”), Joel McHale (“The Soup,” “Community”) and Andy Samberg (“Saturday Night Live,” Hot Rod), WHAT’S YOUR NUMBER? is based on the book “20 times a Lady” by Karen Bosnak and will be available as a Blu-ray combo pack and single disc DVD. Signup to get a 11 Months of Seventeen Magazine (Digital) absolutely FREE. Enjoy 11 digital issues (starting with the January 2012 issue). No strings attached. You'll never receive a bill. Mobile Ready: Read on your iPad, iPhone, Mac, and PC! Seventeen magazine is the world's most popular magazine for today's teenage girls. Find the latest scoop on style and beauty, relationships, college and careers and celebrities in each issue of Seventeen magazine. Now more than ever it's important to know and protect your credit score. With identity theft on the rise, even the smallest issue can create a big problem. There are several places where getting a free credit score is available making it easy for you to stay on top of things that affect your life. Everyone has 3 credit scores but it only takes one bad score to ruin everything, including your chances of getting a home or auto loan. FreeScore is one that really sticks in my mind because of their commercials. Their newest FreeScore commercial is a prison lineup! The Credit Score Guys end up in a prison lineup after Billy Bad Score is accused of robbing someone of their interest rate and tries to make a run for it! I love that the "Good" Credit Score Guys are tall, fit and handsome while Billy "Bad" Score is short, frumpy and wearing a mask! It makes me chuckle each time I see it. Gift Cards Make the Perfect Gift for Any Occasion! With Christmas only a few days ago, it can be a stressful time of the year for those who haven't completed their holiday shopping. With everything going on it can be difficult to find the time and energy to shop for the perfect gift. There is one thing that is the perfect gift for everyone on your holiday shipping list, gift cards! According to a study by the National Retail Federation, gift cards are the gift of choice over clothing, consumer electronics and jewelry. There are a couple reasons why I think Gift Cards Rock! First, they are convenient! You can purchase gift cards at so many locations, including Walgreens, Target, online, grocery stores and the mall. You can also purchase them for as little or as much as you'd like! Gift cards fit any budget! 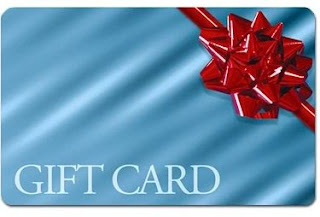 Many retailers sell gift cards for a variety of different stores making it a one-stop purchase. This saves you time and money because you no longer have to drive all over town picking up gift cards for different stores. Next, they are easy to mail! I have family that live out of town and the cost to mail a package is sometimes more than the cost of the actual gift. By sending a gift card they can purchase exactly what they wish and I can mail it with a postage stamp! I also love the fact that you can purchase a gift card for everything and practically every store. From Target to WalMart, Gas Stations, Grocery Stores, Restaurants and of course, a Visa gift card that can be used anywhere! Gift Cards are the perfect gift that never go out of style! I want to thank everyone who entered my Rio DVD Giveaway. I would also like to thank the giveaway sponsor for providing this great giveaway for my readers. We were at McDonald's for lunch. My kids and I along with my daughter's best friend and her mom. The kids were sitting next to us at a table of their own. We were almost finished eating our lunch when we saw a man, in his 50's we assume, walking towards us. He had his meal to go and was holding a $20 bill. I just assumed he was on his way by to go to the rest room and that was his change from paying for his food. He walked over to your table and put the $20 on the table! He said that he thought our nice kids needed some extra money for their piggy banks and to split it evenly between them. We told him that he didn't have to do that but he insisted! He wouldn't take no for an answer! We said THANKS SO MUCH. He told us to have a nice day, turned around and walked out the door! WOW, we were so amazed. How often does that happen? It's nice to know that there are still nice people in the world. We also hope that he was in a situation where he could afford to give that money to our children. My hubby and I have done similar things on occasion and I remember my parents doing things like that when we were growing up too. It's nice to help if you can, even if it's in the smallest way it makes a BIG difference to someone! Now it's our turn to 'pay it forward' AGAIN sometime very soon! It seems as though there is always a special occasion in which a gift is needed. Whether it be a special holiday, birthday, wedding, graduation or a house warming party. Finding quality, affordable and fun gifts is a necessity but often times hard to do! Uncommon Goods makes finding the perfect gift easy! They offer such a wide variety of great items and so many that I would love to have. You can easily find the best gift ideas for men, women and kids at Uncommon Goods. They carry thousands of cool gifts, from fun jewelry and accessories to creative home decor and kitchen items. 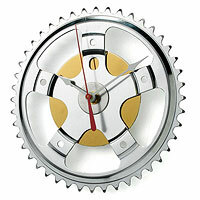 They also carry the perfect gifts for bicycle lovers on your list! I recently had the opportunity to have my own Uncommon Goods experience and it was nothing but pleasant! My items arrived quickly and neatly packaged - just as any happy customer would expect. My items were durable, unique and stylish! These are the kinds of items that are going to get people talking and asking questions! 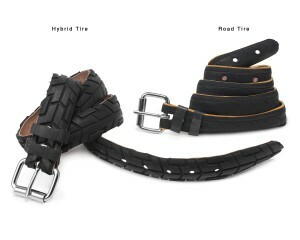 The bike tread belt and hybrid wall clock were like nothing I had seen before. They are amazing and I love the fact that they are made by using recycled bike parts! Uncommon Goods - Unique Gifts and Creative Design! I want to thank everyone who entered my Love Begins DVD Giveaway. I would also like to thank the giveaway sponsor for providing this great giveaway for my readers. Cooking Mama 4: Kitchen Magic is where Mama makes her 3DS debut with a range of new kitchen activities, recipes and fun 3D surprises for the whole family! I wanted to help get you into the holiday spirit with these fun Mama centric activities that kids of all ages are sure to love. From puzzles to word search, families are guaranteed endless hours of being merry together with these activity books that you can download and print out from home.